Come on feel the warmth! The live variety show quite unlike any other is back at Colchester Arts Centre. The Warm and Toasty Club are back with their second show in celebration of their current project Memory Afternoons. This is a show for all ages that shows off the best of the people in our lovely town and in the East of England. Join host Johnno Casson (aka Snippet) and guests for an afternoon of beautiful live music, charming chat, film premieres, hilarity, memory songs and poetry, good community feeling, Biscuit of the Month, the return of the Cheeky Retro Raffle and free hot buttery toast for everyone. Folk singing maestro and storyteller brings forth a suitcase full of music hall favourites. 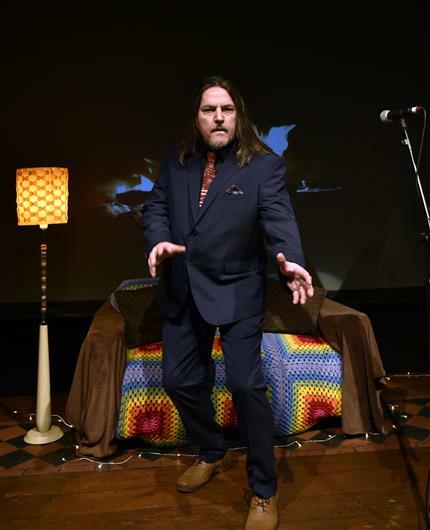 One of the best performance poet's in the East brings his fresh and insightful take on the people of our Memory Afternoons with specially commissioned Memory poems. Wonderfully engaging Cliff Richard tribute act singing songs you'd forgotten you loved. A merry band of dancers and musicians make up Colchester's very own North West Clog Morris dance act, full of fun they are sure to deliver happiness into your Sunday afternoon. We are delighted to welcome back this talented young singer/songwriter to our show to sing a specially commissioned Memory song. A debut for this gifted Colchester singer/songwriter with a voice to melt your hearts with a specially commissioned Memory song.